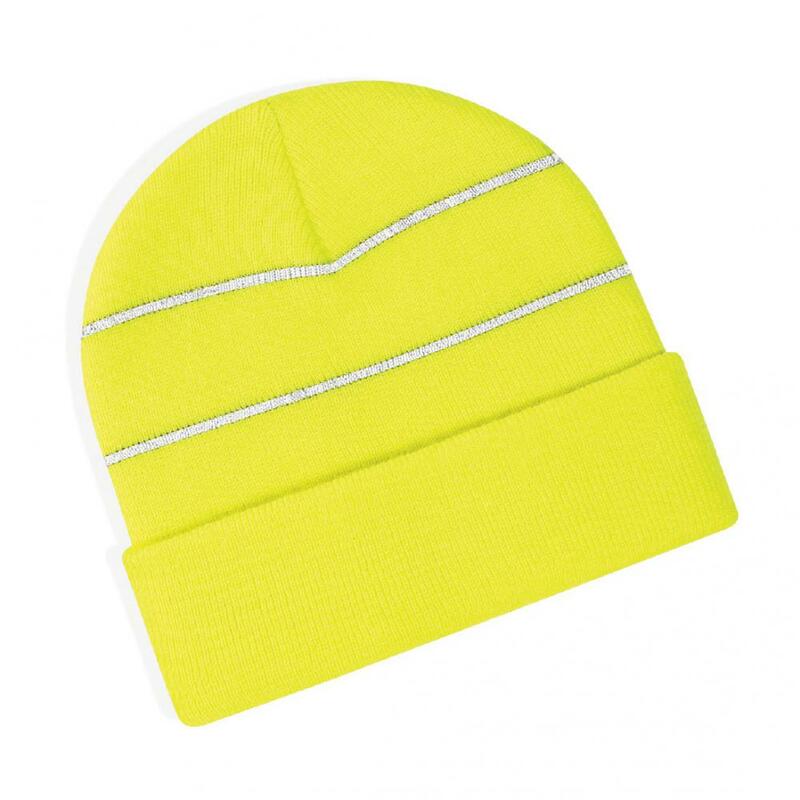 Beanie hat with turn up with enhanced-vis reflective stripes. Machine washable double layer knit in 100% soft touch acrylic. Logo can be embroidered on the turn up of the hat up to a size of approximately 120 x 50mm. This hat is perfect if you are working outdoors or the hat would be used in dangerous situations. 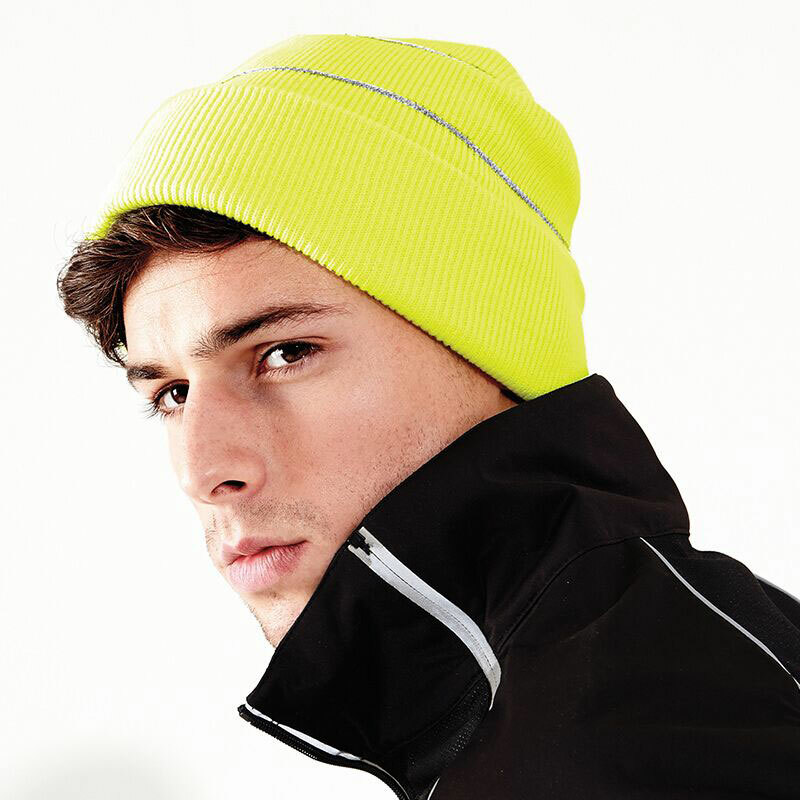 For example this hat has been supplied to building companies and also to running clubs.